So, you found out you're having TWO babies! Now you're curious about what to expect during your twin pregnancy labor and delivery. Especially if this is a first pregnancy. 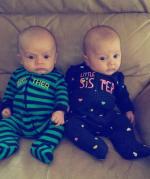 Being well informed about twin birth will definitely help to calm any fears or doubts you may have. Even though twin pregnancies are considered high risk, there is an overwhelming percentage of normal, healthy births of twins these days. Depending on how your twin pregnancy goes will determine many aspects of the actual labor and delivery. Because there is much to consider, we will cover the essential things you should know about birthing twins. Keep in mind that your twin pregnancy labor and delivery will be totally unique, special, and even extraordinary. You should always talk to your physician or midwife about any questions and concerns that you have. Perhaps you want to make a twin birth plan ahead of time as well. And don't forget to get your hands on a good twin pregnancy book. It's always nice to be able to look something up at arms reach. Yes, you can find a ton of info on the web (like here! ), but there are some really well written informative books available that are handy to have around...especially if you don't have an internet connection! Let's talk about location. Where you will actually undergo labor and delivery with twins depends largely on your doctor and/or hospital's protocol (unless you have already planned a homebirth or C-section which we talk about later). Although you may labor in your own hospital room, the actual delivery usually takes place in an operating room. Because of complications that may arise (more so than a singleton delivery) a delivery in the OR ensures the best possible outcome for mother and babies. Many doctors make this their standard location for delivery even for vaginal or natural (unmedicated) birth. It allows them to be better prepared for any obstacles or changes in the situation that can happen at the last minute. For example, an emergency C-section. A hospital birth like this can be highly technical, with lots of bright lights, machines, and medical staff. But, try not to let this overwhelm you. 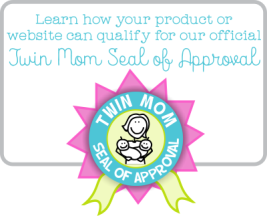 Just consider all of the special care and attention you will be receiving to ensure that your twin birth goes favorably. Be sure to discuss all of your twin pregnancy labor and delivery options with your doctor or midwife. There are many women who have had successful natural, un-medicated twin births in a hospital setting, in their own private room. A home birth for your twins may be another possibility. The health of the mother, position of the babies, and the expertise of the midwife or other practitioner will better determine if this is suitable for your twin pregnancy labor delivery. Find out more on choosing a doctor or a midwife. If you know you will deliver your twins in a hospital you will need to bring some necessities for your stay and I have put a lot of thought into this, as there were several items that I wish I had with me when I delivered my own twins! A robe - a must for any excursions out of your hospital room! The hospital will provide many of the basic items if you forget something. But, most women like to bring their own familiar belongings and toiletries as they are usually of better quality than what the hospital offers. It is best to use mild products for washing and moisturizing, so keep that in mind when packing. And don't forget to have the infant car seats ready to go as well! 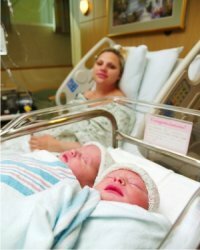 What about vaginal birth vs. cesarean section with twins? Many physicians recommend delivery of twins by 38 weeks. And in fact, many women carrying twins do go into labor naturally during this time. However, when a twin pregnancy goes too long there is a possibility of depletion of the placenta which may lead to devastating consequences. Because of the significant load that is put on the placenta during a twin pregnancy your physician may want to induce labor or plan a Cesarean twin delivery. Another issue may be the position of the twins. If the presenting baby (the baby that will be born first) is not head down, it is unlikely that they will be able to maneuver into this position in late pregnancy given the extra tight quarters in the mother's uterus. Most doctors will plan a C-section if this is the case. 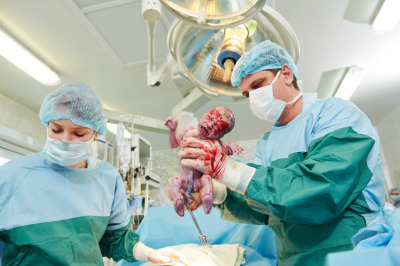 It is not uncommon for a doctor to plan a C-section with twins, as many multiple births require that the babies be born quickly and safely for their own health and/or the health of the mother. Additionally, almost all Mono Mono twin pregnancies require a Cesarean delivery due to complications with umbilical cord entanglement. If the mother is in good health and the babies are positioned properly, a vaginal birth of twins usually goes fine. If you have high blood pressure or other complications, and especially if the babies are not positioned well, you will likely need to deliver your twins via a C-section to ensure a healthy outcome...For mother and babies! 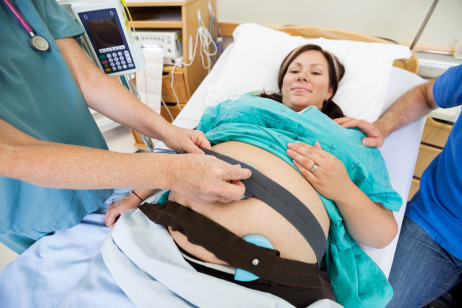 Now we'll cover medications and epidurals during your twin pregnancy labor and delivery. If you have a strong inclination to go natural (no medications or epidural for vaginal birth), just be prepared. An un-medicated, natural birth of twins is not unheard of, yet you should remain flexible. Even if your pregnancy has gone smoothly and the babies are in the perfect position for delivery, complications may still crop up. Remember you are birthing two babies. The first twin could deliver without a hitch while the second twin has turned to an unfavorable position or the placenta has started to detach prematurely. Having an epidural will make the transition from vaginal delivery to emergency C-section much less difficult, but again, is something you should thoroughly discuss with your healthcare professional. Preterm labor is common with twin pregnancies. Preterm labor happens when you have regular contractions and effacement of your cervix before your 37th week of pregnancy. There may be several reasons for labor to start early besides just carrying twins. However, this will likely be the biggest worry during an otherwise healthy twin pregnancy and it should be discussed thoroughly with your doctor or midwife. You need to be well informed on the signs and symptoms of preterm labor, as they can vary greatly. Preterm labor, left untreated, may lead to serious complications with Premature Birth.